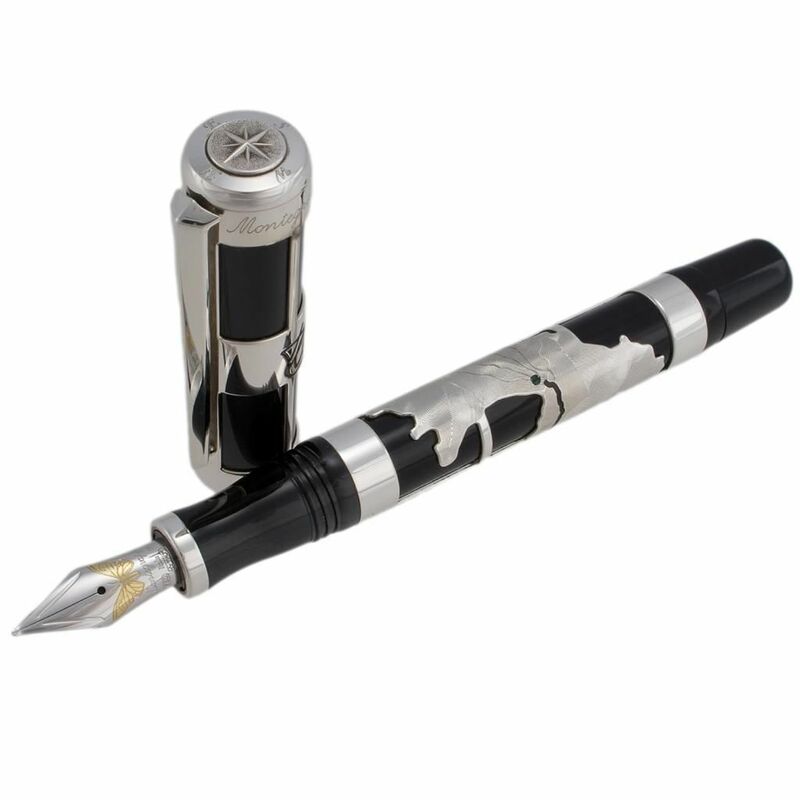 DESCRIPTION: Originally known as ELMO, Montegrappa has been manufacturing writing implements since 1912. 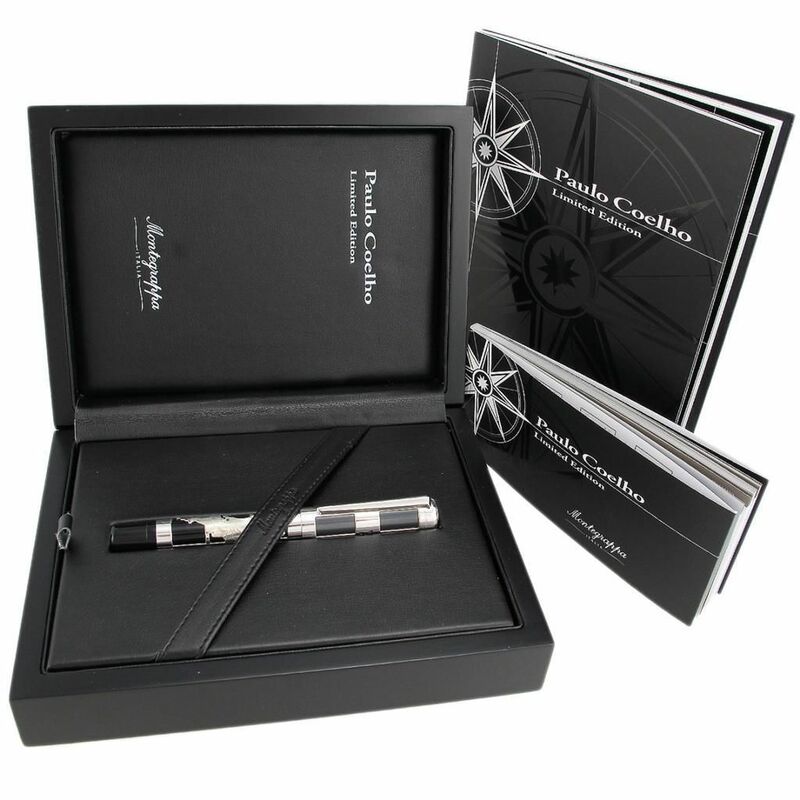 Being the premier manufacturer of luxury pens, Montegrappa has produced a continuing flow of limited editions, commemorating events, locales and individuals. This pen pays tribute to author Paulo Coelho. This limited edition is made using the fret-working technique that accentuate the refined contrast between the lustrous precious metal and the black mother-of-pearl resin body. 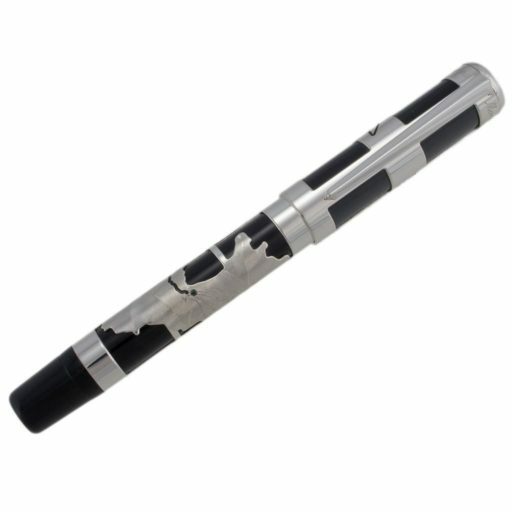 Skillfully crafted from high quality sterling silver and resin, with a 18k white Gold Nib, this pen will instantly become one of your most treasured collectibles.